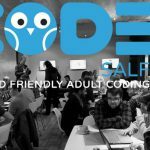 CodeUp is an opportunity for adults learning to code, to meet other coders and get help with any problems. Don’t be confused alone, be confused together! CodeUp Salford is based in the heart of Media City ‘where science and creativity collide’. Based at the University of Salford campus is a unique venue suitable for the most ambitious and imaginative events – blending technology, people and stunning surroundings, making it an excellent and original choice for CodeUp Salford. How to get here : MediaCityUK is close to one of the most comprehensive transport infrastructures in the country, so getting here won’t be a problem. (we are minutes from a metro station). CodeUp sessions are an open, friendly and supportive learning environment where any adult can attain new digital skills for zero financial cost. 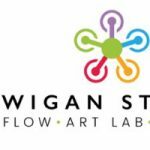 You’ll need to bring your own laptop, but that’s it, all the software used is free and in the sessions themselves, we use a combination of online workshops and other free learning platforms such as Codecademy and Free Code Camp. 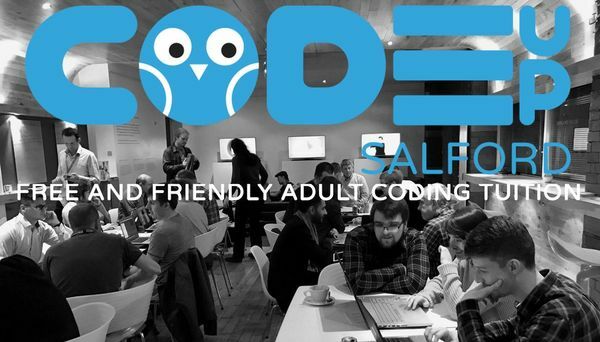 CodeUp is the adult version of Code Club, providing free and friendly adult coding tuition. We will create an open, friendly and supportive learning environment where any adult can attain new digital skills for zero financial cost. We see regular, packed and enjoyable sessions run in multiple locations. 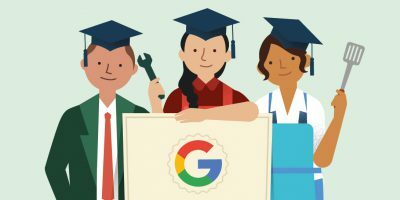 We see people not only learning digital skills, but going on to change their lives based on those new skills. We see engaged and passionate mentors teaching people who’ve never written a line of code putting together an application. We see our students return as mentors to invest in the future of CodeUp. WHAT IS A CODEUP SESSION? CodeUp branches run regular monthly drop-in sessions, taster session style workshops and one-off additional events throughout the year. 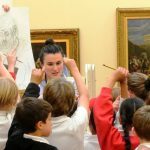 Both organisers and mentors are volunteers, and all our sessions are free to attend. CodeUp events are always non-profit and free for participants. We do not pay mentors, speakers or organisers. Attendees don’t need any previous knowledge about programming, all the attendees need is a laptop and some curiosity.